Beverley has been a family lawyer and mediator in Norfolk for more years than she dares to remember. She has a wealth of experience of giving practical and sensible legal advice and guidance. However complex or unusual the divorce or separation, Beverley is known for being determined to find solutions which are realistic and workable. Beverley is attuned to the emotional impact of divorce, court proceedings and parenting issues on families, especially children. She is committed to encouraging clients to consider alternative approaches to resolving their disputes which enable them to move forward with their lives in a dignified way. She is one of the only mediators in Norfolk trained to directly consult with children and young people in mediation. Her mediation practice also extends to directly involving solicitors in the process. Beverley is a trained collaborative lawyer and keen to involve other experts and professionals in all disciplines of her work in a way that benefits the client. She is an active member of the Norfolk Good Divorce Group and organises their annual training day. 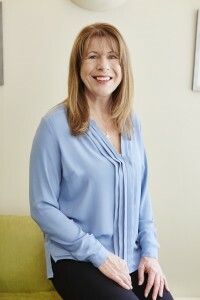 When litigation is the only way of helping divorcing couples to resolve their disputes, Beverley remains committed to giving clear and practical advice. She is unfazed by complex financial matters.